Home | Blog | Kelly Rasmussen Wows With BasicGrey! Kelly Rasmussen Wows With BasicGrey! Today we have some lovely cards by Kelly Rasmussen, featuring BasicGrey. Kelly has a fun, fresh style and a really great eye for just the right layout! Just look at this beautiful card Kelly made using BasicGrey‘s Soleil. I like how she layered with the wheels and petals. The arrow stamps are from the Paradise set and the letters alphabet stickers can be found in here! I love the teal with the yellow on this card! Also, I think it’s a cool idea to tie twine around the flag piece! Those gems are a neat touch too! Kelly made this card with Sew Perfect and Delicate Flower stamps from the Lucille Collection by BasicGrey. The vintage buttons on this card make a cool border and coordinate perfectly with the pretty Lucille papers! I like how Kelly rounded the corners on the card and mirrors it on the floral paper. The half circle peaking from behind the floral paper mirrors the buttons. I love this technique! Plus she mixed and matched all three clear Lucille stamp sets: Be Silly, Fancy Schmancy, and Sew Perfect. This is such a put-together layout!! Serenade is one of those collections that I can’t get enough of. The papers are slightly distressed which lends to the classic, romantic feel of the collection. On this card, Kelly used Serenade Layered Stickers & alphabet stickers to top the cardstock that she enhanced with butterfly and flower stamps from the Pocket Watch set. We’d like to say a BIG thank you to Kelly Rasmussen for letting us showcase these fabulous cards! Make sure to stop by her blog for more inspiration! : ) Maybe she’ll have some inspiration from the new True Love Collection, which is available now at Simon Says Stamp! Blog Candy Alert: Join our following and leave a comment for a sampling of BasicGrey papers like the ones found in this blog! Blog Candy Winner from the What’s New from Graphic 45 & Spellbinders blog is: Kim H! 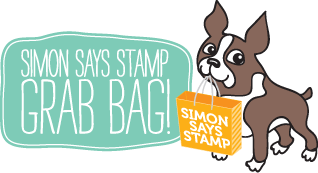 Please email Steph@SimonSaysStamp.com with your name, address, and the title of the blog from which you won to claim your prize.